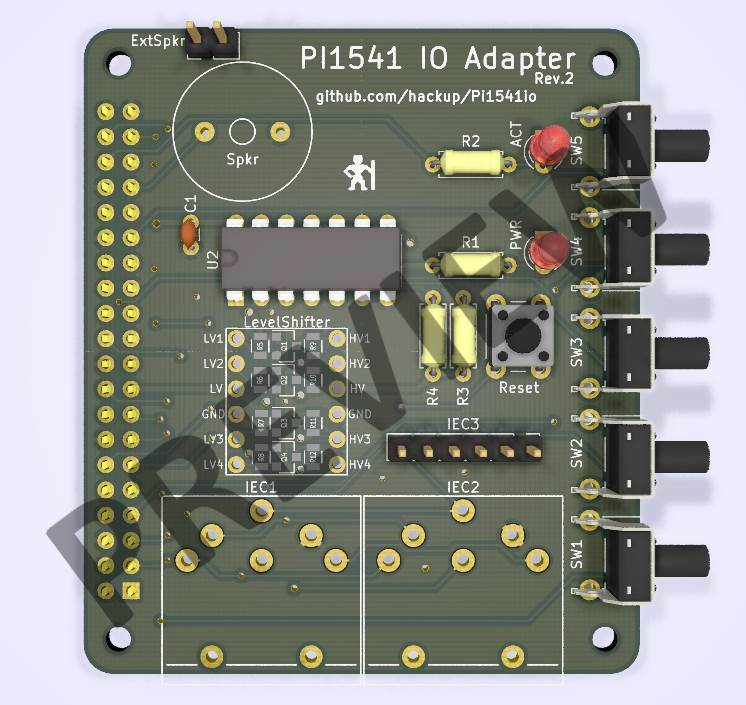 After I assembled and tested the first revision Pi1541io board, I sent the remainder of the prototype batch on to interested members of Forum64 for further testing. While I’m still hoping for feedback from their side, I’m already working on the next revision of the PCB that will fix a couple of minor issues. As hinted earlier, my intention was to also add optional support for a TXS0108 based level converter. So I acquired one of those modules, tried it on my Pi1541, and couldn’t get it to work at all. It turns out that the TXS0108 is too slow for this job as it seems. Meanwhile, Steve White has updated his site again, providing an additional wiring diagram. 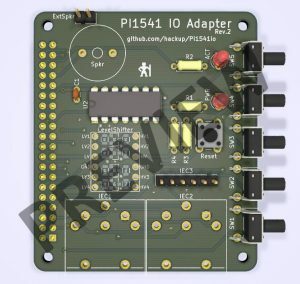 This alternative circuit features an additional 7406 inverter IC that is used for driving the output signals from the Raspberry Pi to the serial bus. Using this solution, multiple devices on the bus should no longer be a problem. Preview of the current design for revision 2. So, I ditched the TXS0108 and I am working to support Steve’s 7406 based solution in revision 2 of the Pi1541io. This support will be optional, i.e. you will still be able to use the board with just the level shifter. Speaking of the level shifter: also in revision 2, you may now chose between using a ready made module like in revision 1 or using discrete components instead. Also, I am still preparing the project repository for upload to Github. Should happen soon now, stay tuned. Hi, when should the first kits be ready? Are you going to sell kits to assemble?